Thank you for taking the time to visit the website of New Wave Dental Smiles, your home for Burien, WA dentistry. Dr. Kamal Bajwa is committed to excellence and has been practicing dentistry in the Burien and Seattle areas for the past 11 years. 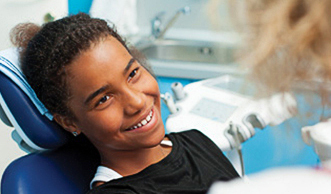 As your trusted family dentist, we’re always welcoming new patients. We provide a friendly and comfortable office that’s suitable for patients of all ages, even the youngest ones in your family. We encourage you to take a look and explore our website to see all that we have to offer. For a full list of our services, please feel free to take a look at our Services page. Contact Your Burien, WA Family Dentist Today! We proudly serve the communities of Burien, Seattle, and the surrounding areas. If you’re interested in coming in to visit us, you can book an appointment with us online or give us a call at (206) 242-8080. If you have any questions, please don’t hesitate to contact us. We look forward to hearing from you and helping you on the way to a brighter and healthier smile! Free Sonicare Toothbrush or whitening kit! 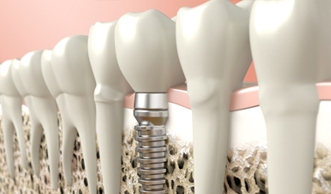 An implant can replace an individual tooth or be used to stabilize dentures and large bridges. A crown (commonly called a “cap”) completely covers a compromised tooth above the gum line to protect it. 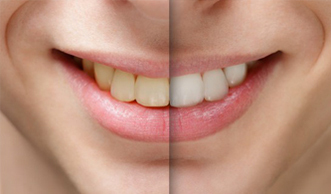 Whether discoloration is from smoking, coffee, or other foods, a whiter smile is attainable. For apprehensive patients, pre-medication can be prescribed to relieve anxiety and fear.